Jamie Oliver is back with brilliantly easy, flavour-packed, and accessible veg recipes. From simple suppers and family favourites, to weekend dishes for sharing with friends, this book is packed full of phenomenal food - pure and simple. Whether it's embracing a meat-free day or two each week, living a vegetarian lifestyle, or just wanting to try some brilliant new flavour combinations, this book ticks all the boxes. Sharing simple tips and tricks that will excite the taste buds, this book will also give people the confidence to up their veg intake and widen their recipe repertoire, safe in the knowledge that it'll taste utterly delicious. It'll also leave them feeling full, satisfied and happy - and not missing meat from their plate. 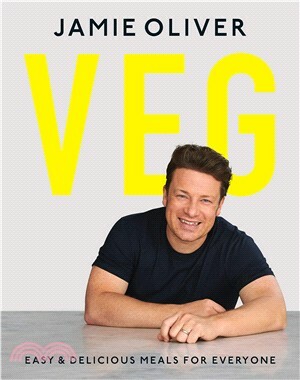 A book for everyone, this is the perfect moment for Jamie to inspire every kind of cook with his super-tasty, brilliantly simple, but inventive veg dishes.